Model marketplaces are a major shift in the landscape of investment management. They allow financial advisors access to a broad range of third-party-created investment models while retaining control over implementing trades. At the same time, marketplaces offer asset managers a new distribution channel for their products that are quickly becoming commoditized. These marketplaces are a direct threat to existing TAMPs such as Envestnet, SEI and Loring Ward. But can they succeed in disrupting the market and gathering significant assets? Or will they remain niche players and remain no more than flies on the rumps of the market leaders? 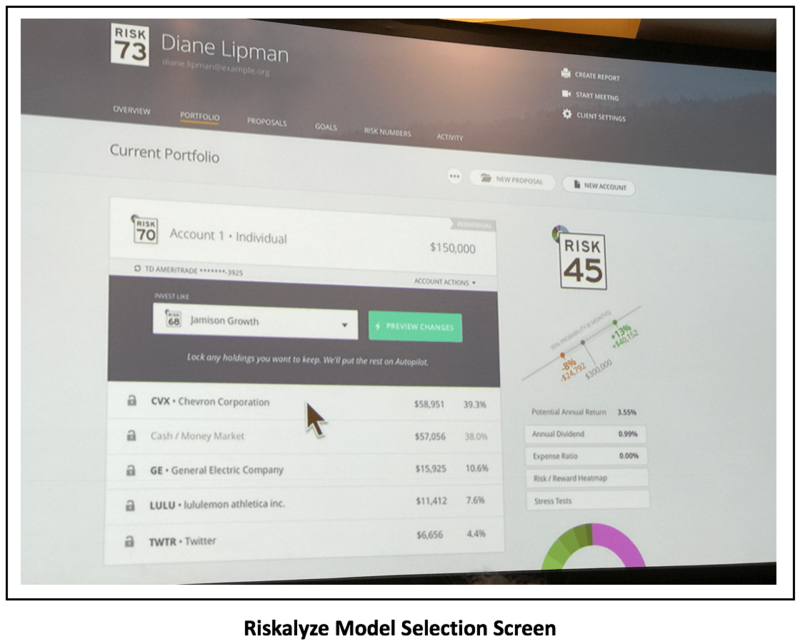 Riskalyze still has a ways to go before advisors trust them to outsource their investment management. But considering their past success, odds are they will be successful. MMX is a nice addition to the Folio trading and rebalancing platform and compliments their digital advice platform, which is called Advisor Connection. 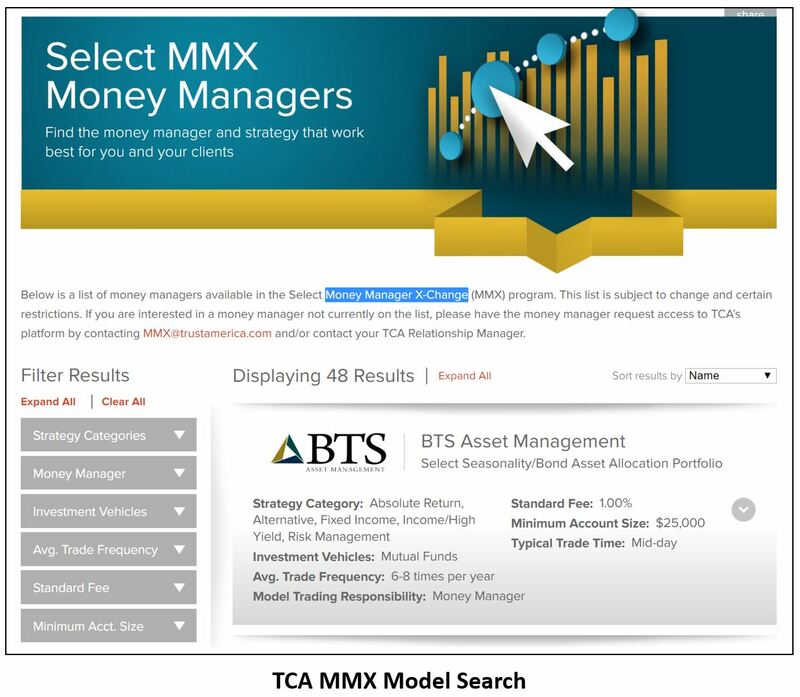 MMX has since gone through a number of iterations and is now used by a number of turnkey asset management platforms (TAMPs), smaller banks and credit unions. Only 22% of Folio’s business is retail, according to the firm’s president, Greg Vigrass. The other 78% is spread across RIA’s, broker-dealers, insurance companies, TAMP’s, banks, and credit unions. 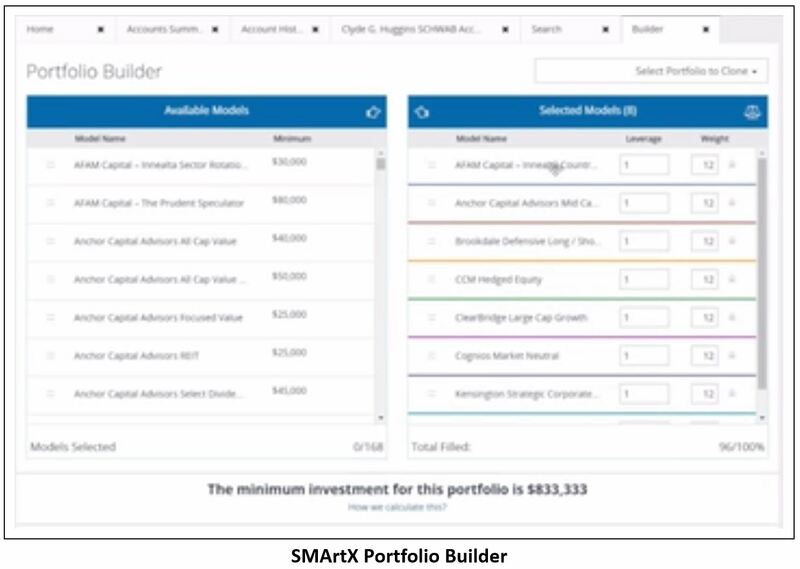 An interesting aspect of Folio’s MMX is ability to support models containing fractional shares, which gives advisors more flexibility and means that models can be applied to accounts of any size. This contrasts with the SMArtX approach of basing the account minimum on the lowest account value that it would take to replicate the strategy in whole shares. Model-building capability is robust, with an option to focus on specific sectors, investing styles or geographic regions. Multiple-level models of models are supported as well. 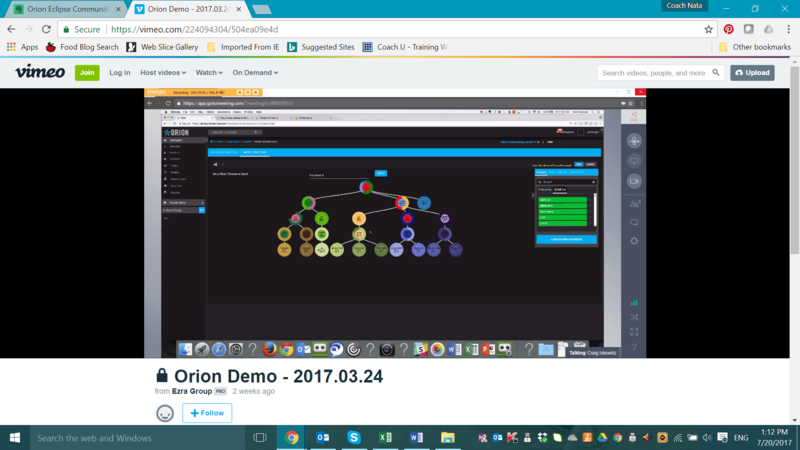 The platform includes analytics that allow advisors to measure their models against benchmarks and other industry statistics. SMArtX currently has over 180 models from 100 managers with plans to add 100 more models over the next three months. That includes money manager strategies that are not available on competing marketplaces as well as custom index products with minimums as low as $5,000. 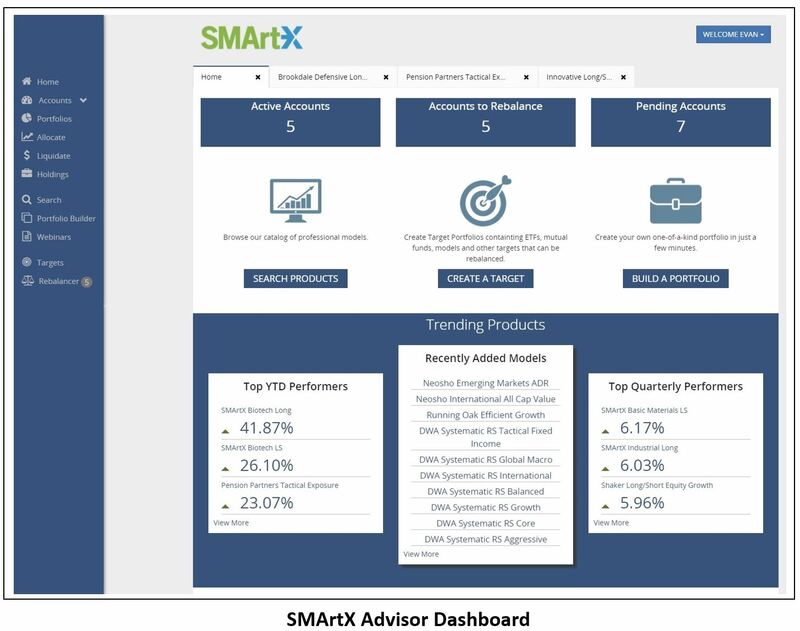 Some of the products developed by SMArtX, like their clone of the S&P 500 index, called S-Network 500, are free to advisors. 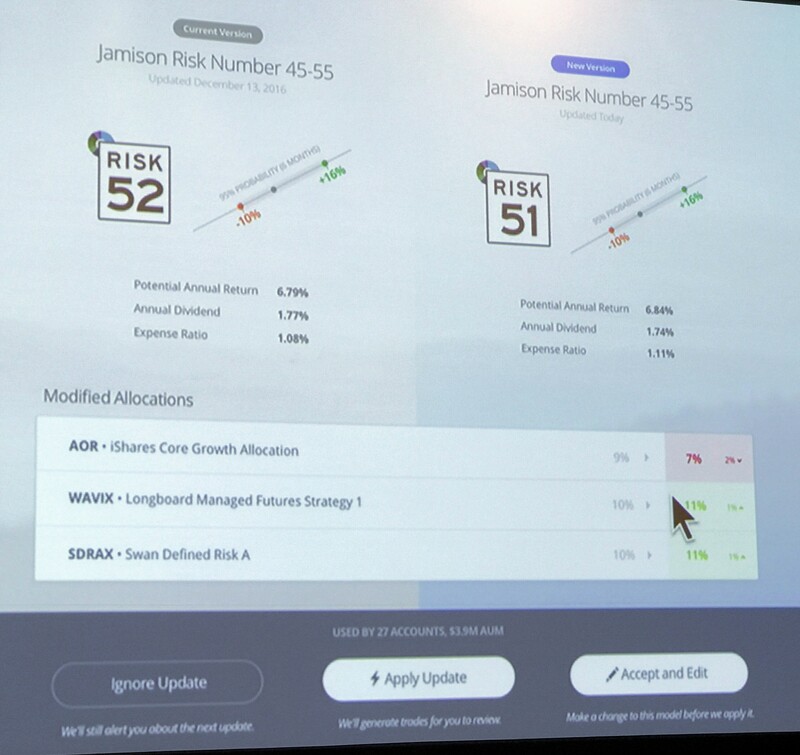 HedgeCoVest SMArtX is currently only available for SS&C clients and specifically targeted at Black Diamond users, so for advisors looking for a new performance reporting platform, this could be a nice two-for-one option. 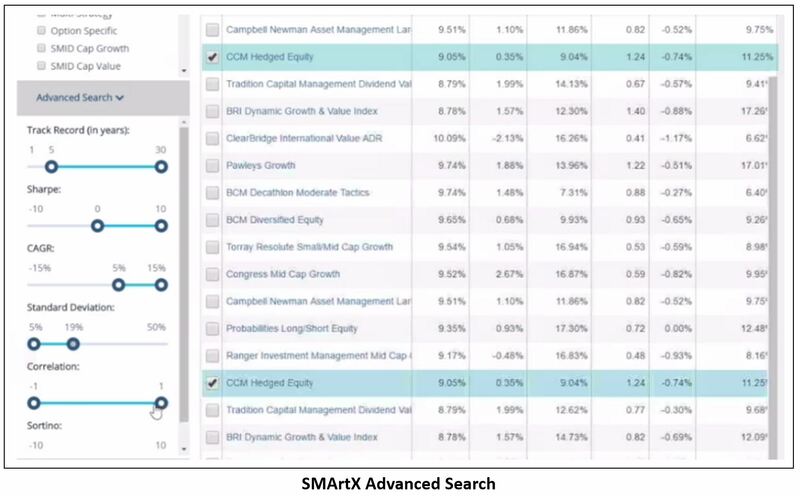 Advisors who are heavy SMA users should definitely take a look at the platform, if just to get some ideas to send to their current technology provider about how product search and portfolio construction should work. I hope HedgeCoVest launches an open architecture version of SMArtX at some point.